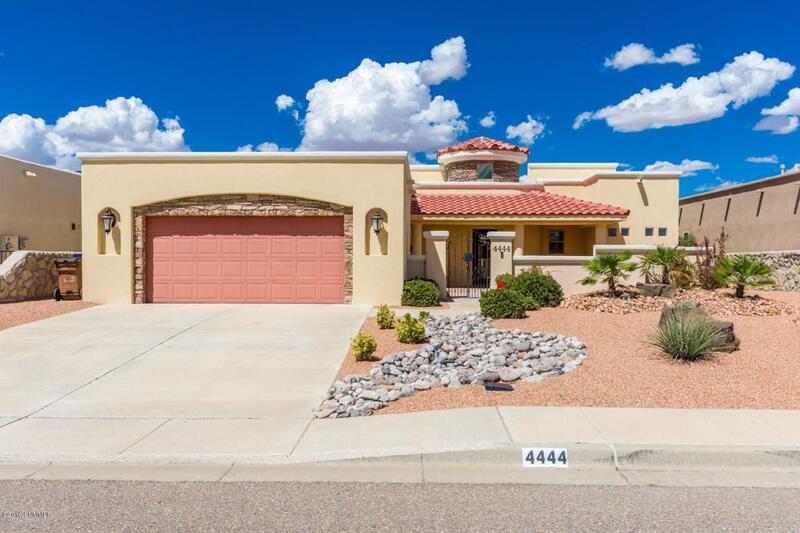 This custom-built Mediterranean-style home located in Sonoma Ranch is one of Las Cruces' most desirable areas. 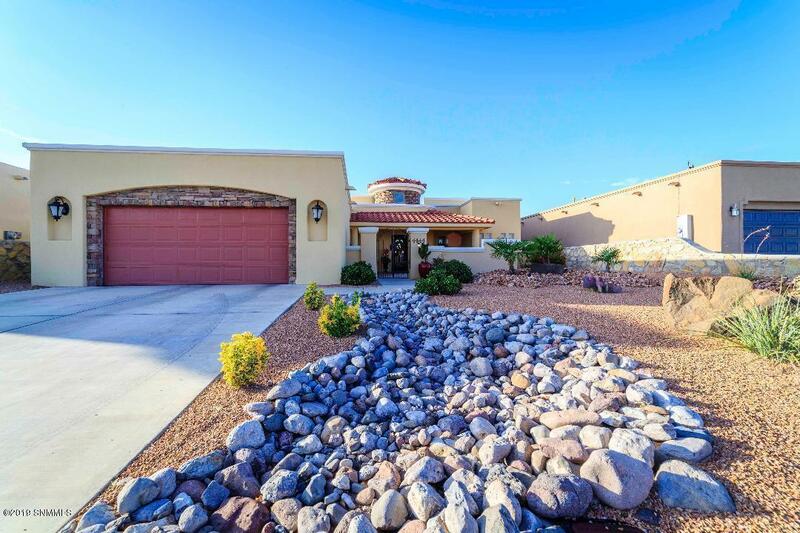 Sellers have taken great care to improve this home w/ 2'x 6' frame construction inside & out. Colorful Talavera tile accentuates countertops & Kiva FP plus stained concrete floors make the open living area come alive. A cook's island kitchen w/ gas cooktop. The dining area has room for a table of most any size, buffet w/built-in custom cabinets, expansive servicing counter & under-counter beverage center. Split bedrooms adds privacy for all. Guest bedroom wing hosts a convenient Jack & Jill bath w/ 2 linen closets. Master suite w/door to patio, features a 5-piece bathroom including dual sinks, jet tub, open shower with bench, and a walk-in closet. Enhanced xeriscaped front landscaping & backyard features premium heat resistant artificial turf w/ a retail cost of approx. $10,000 . 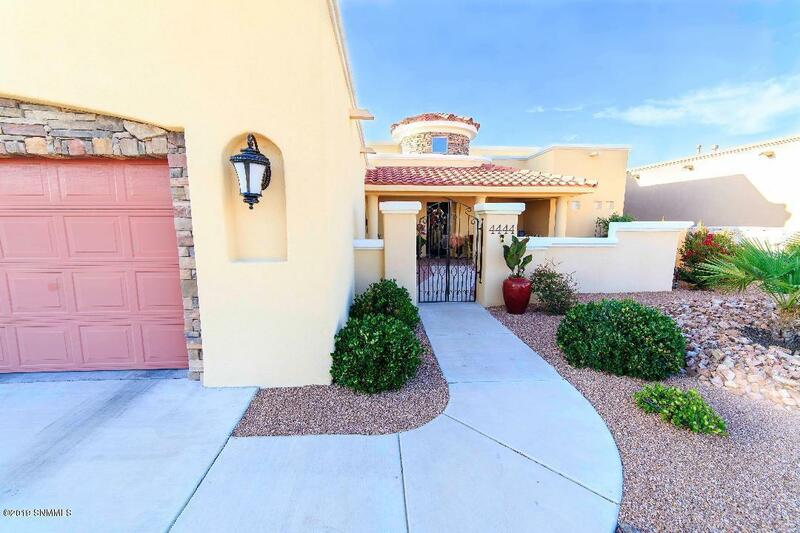 North facing covered patio perfect for dramatic summer sunsets & sunrises set against the Organ Mts.